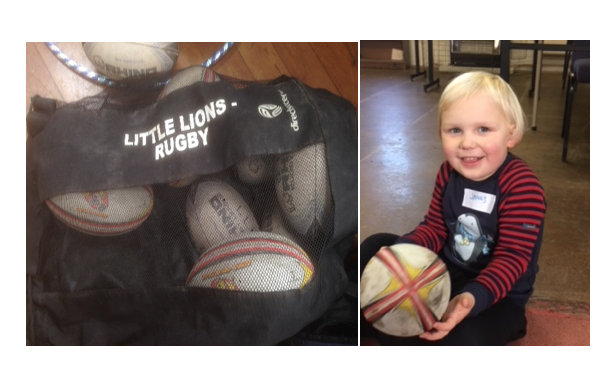 The LittleLions-Rugby ‘Toddler Only’ sessions can be found at the Parish Hall, Thorner. 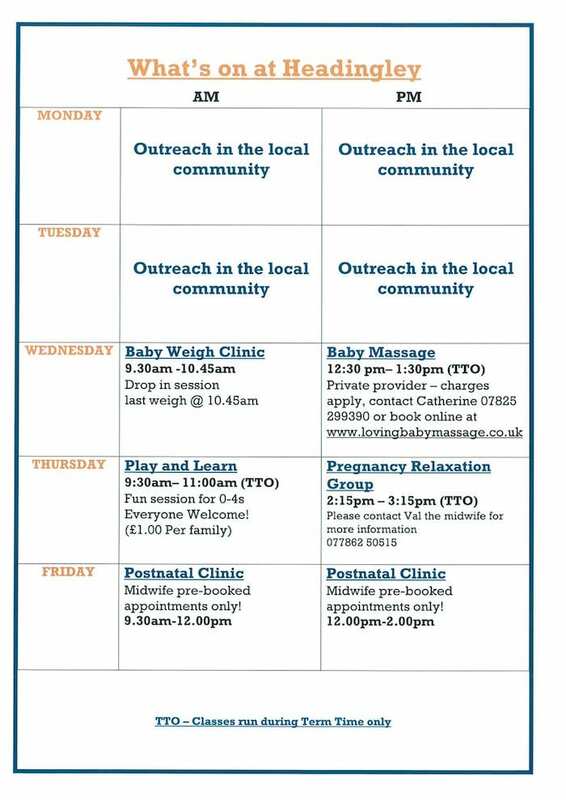 Our sessions run from 11.30am – 12.30pm on a Thursday. 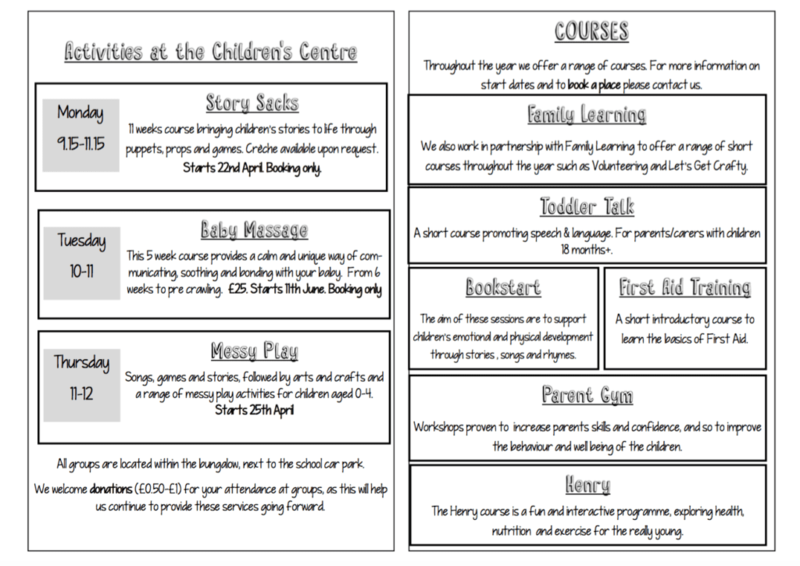 What’s interesting is that our sessions run immediately after the Thorner Toddler Group. 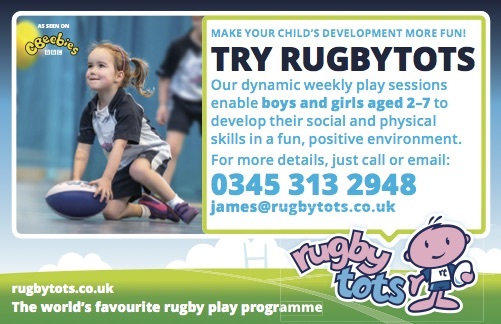 This means parents/Carers can either join the Playgroup at 10.00am and then stay on for our Toddler Class, or just come at 11.30am, just for the LittleLions-Rugby session. A gentle session of yoga, singing and massage. Learn how aromatherapy can really benefit your child from a clinical aromatherapist. 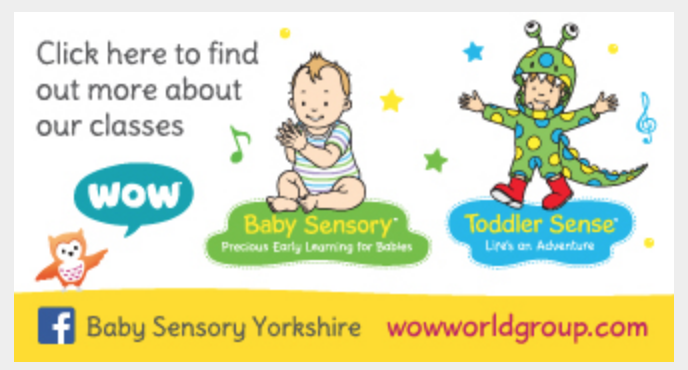 A fun, relaxed sensory group with singing, specifically for babies aged between 0-18 months with their parents/carers. 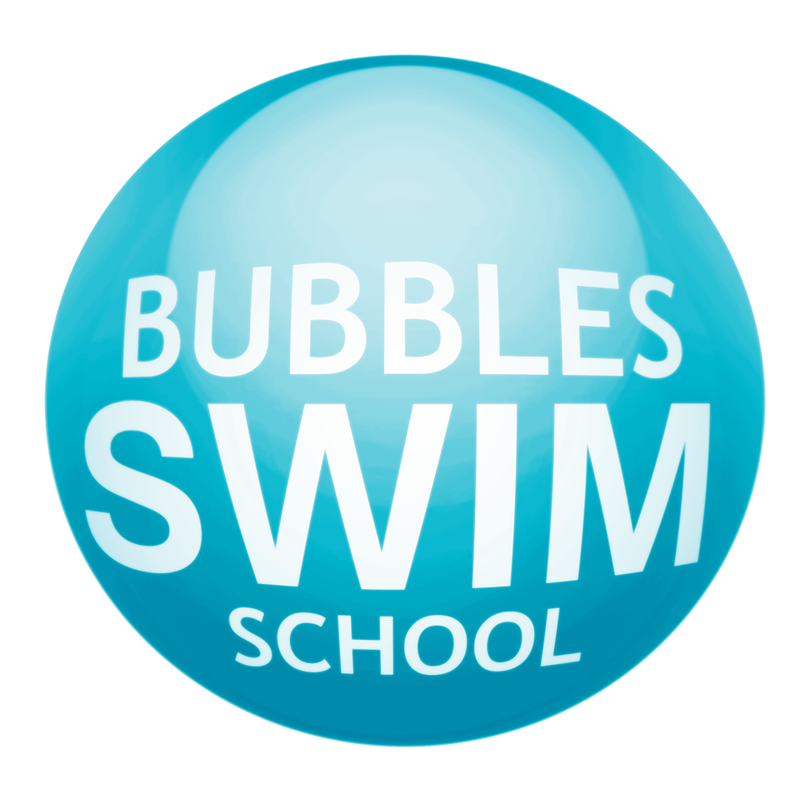 Join us for sensory fun with bubbles, singing and more! No need to book. Email melanie.tillman@ljwb.co.uk for any queries. £2 per family. Refreshments included! 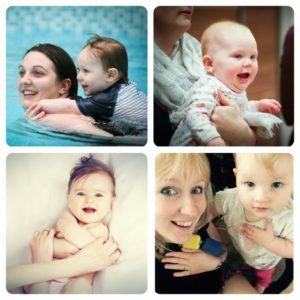 Discover the relaxing and calming benefits of Baby Massage in a new 5-week course. For babies from 2 months (approx.) to crawling. £25 for the course or £5 per week. 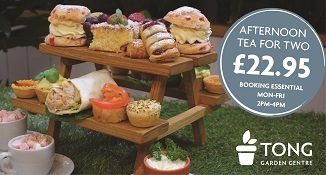 Refreshments and biscuits included! Booking required, please email melanie.tillman@ljwb.co.uk. Dates to be arranged when booking. A group offering support to all registered childcare providers. 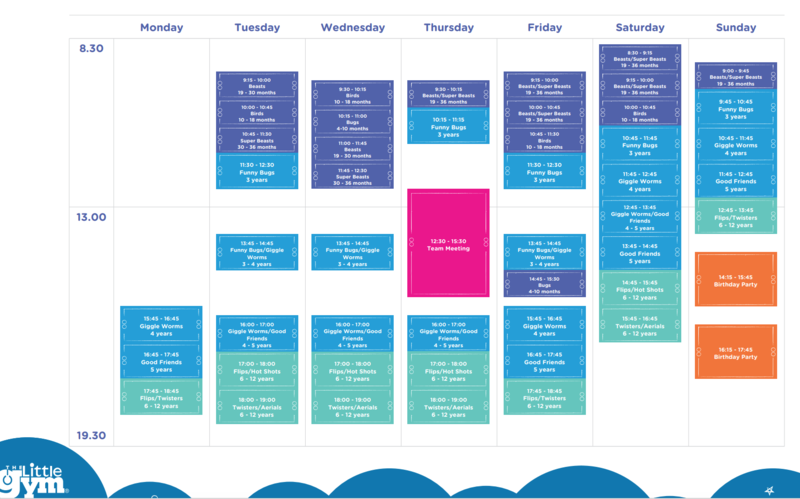 Sessions include robust physical exercise, crafts, interactive story time, singing and much more! 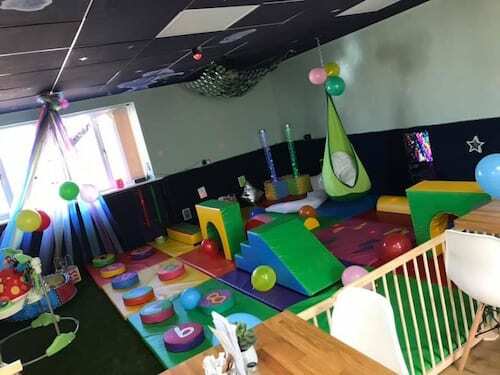 Provides a fun and relaxed environment for parents, carers and pre-school children. 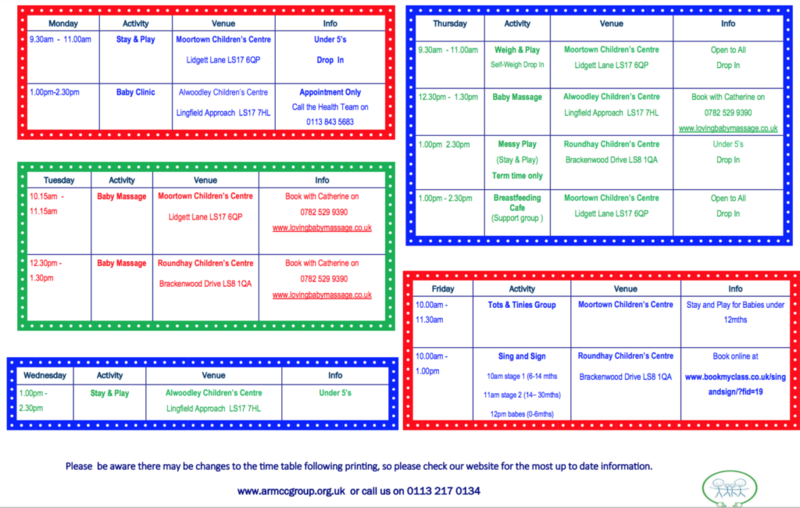 Varied activities including play, craft, singing and seasonal themes are available. Tea, coffee, juice and biscuits provided. Each class starts with a story which usually incorporates the theme of the rest of the class. The art and craft activities are designed to encourage children’s natural curiosity and they can “free flow” between them according to what they enjoy. Activities could include sticking, messy play, building, painting, colouring, chalking, creating and many more. Relax-Sing is relaxation through the art of Indian Singing. The parent-child bond begins with the parents’ mental health and well-being. You will be guided through breathing exercises, relaxation techniques, humming, singing notes in conjunction with breathing exercises and mindfulness. Bond with babies through singing Indian lullabies. £3.50 per session. Paid in termly blocks. Enjoy cooking with friends at the Little Bakers group. Pick n Mix is a creative space for parents, children and people of all ages in the Event Space at Leeds Markets. Sessions are lead by Daylight Stars. A new toddler group, with a free lunch included at St Edmund’s Church (not the Church Halls), off Lidgett Park Road, Roundhay, LS8 1JN on Thursdays, 10:30am-12:30pm during term time for Babes & toddlers and their parents/carers. All of it is free although if you wish to make a contribution towards costs you are very welcome to do so. A friendly baby and toddler group who meet each Thursday at the Parish Centre. 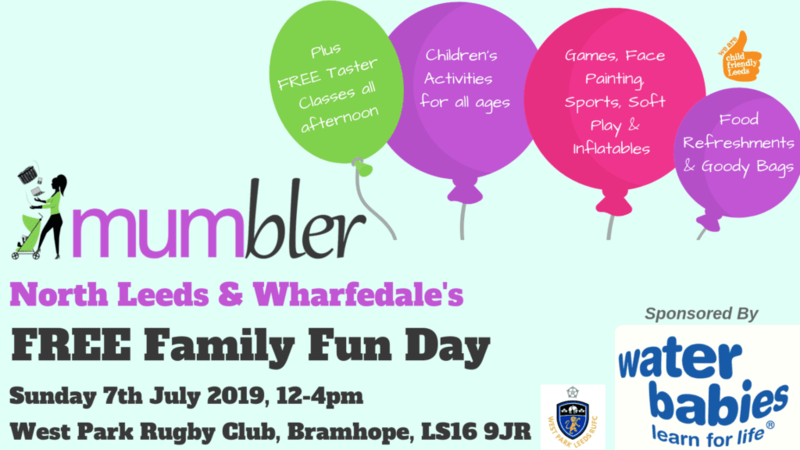 This is a chance to meet new friends in the village and allow your children to play and socialise in a safe environment. Every other week we enjoy singing and dancing with a ‘Tiny Dancers’ class. A mid-morning fruit snack for the kids and tea/coffee for adults is available. For just £2 per family we provide tea, coffee, juice biscuits & toast. There is always some fun craft, lots of toys and at the end of the session we play with a parachute and sing songs. 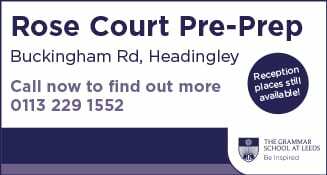 A group for children aged 0-4 years and their parents/carers. 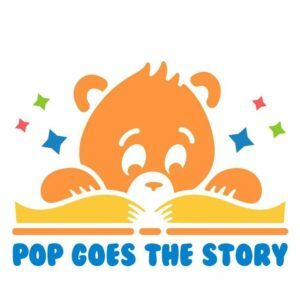 The group includes toys, games, books, story time and singing for the children. For adults, it is a chance for a cuppa, a chat and to meet and make friends. £2 Adults and 50p for Babies & Toddlers. 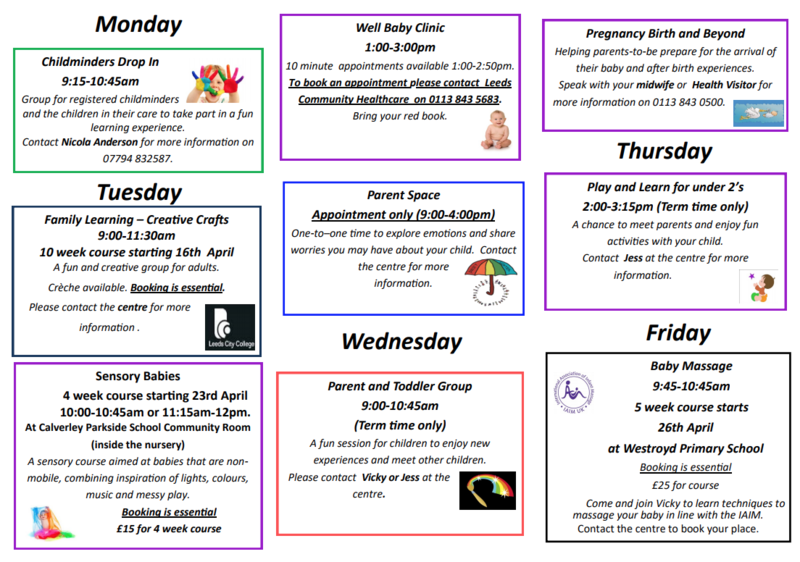 Baby and Toddler playgroup on a Tuesday and Thursday, 9.30am-11:30am (Term Time). Lively, friendly group from newborn up to 5 years. No need to book on just turn up for a chat, play and even a hot drink!